Harare – It has now become a tired cliche. Each instance, a former politician faces incarceration, a script laden with excuses is woven, just to delay or frustrate the justice system. And former Tourism minister, Walter Mzembi has adopted the overused mantra. Recent reports say, the staunch Robert Mugabe cheer leader is critically sick in a South African hospital – and cannot appear in court. His lawyer, Job Sikhala confirmed the sickness, saying he flew to South Africa to witness it first hand. "The circumstances are beyond all of us, I had to fly to South Africa to get my own personal assessment of the condition of my client on Saturday and my client is seriously indisposed to stand trial. "Accused will not be able to stand trial, not in the near future. Join us in prayer so that he gets through this. It is something very serious and on the next date I don’t think anything would have changed,” claimed Sikhala. Adding the he needs prayers for his condition to improve. Mzembi is facing $1.6 million theft of trust property charges. His trial failed to kick off as he is said to be in South Africa where he is receiving treatment after being diagnosed with colon cancer. The politician is jointly charged with two others and the State is now considering separation of trial. The matter was remanded to February 4. Mzembi was born 16 March 1964. He previously served as Minister of Foreign Affairs and Minister of Tourism and Hospitality Industry. 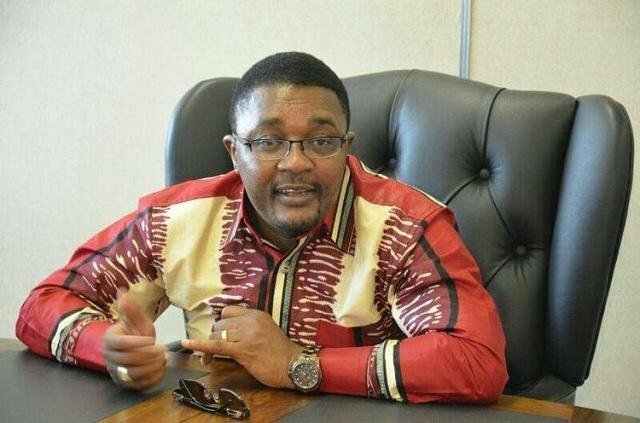 When the ZANU-PF–Movement for Democratic Change national unity government was sworn in on February 13, 2009, Mzembi became Minister of Tourism. He helped organize the UNWTO co-hosted by Zimbabwe and Zambia in August 2013. In 2017 Mzembi was the candidate of the African Union for the position of the 2018-21 Secretary-General of the World Tourism Organization. On 19 November 2017, Mzembi was expelled from ZANU–PF by the party's central committee. He was arrested on 5 January 2018 and appeared in court on the next day where he was granted bail. He was arrested over allegedly misuse of resources meant for a tourism conference in 2013.